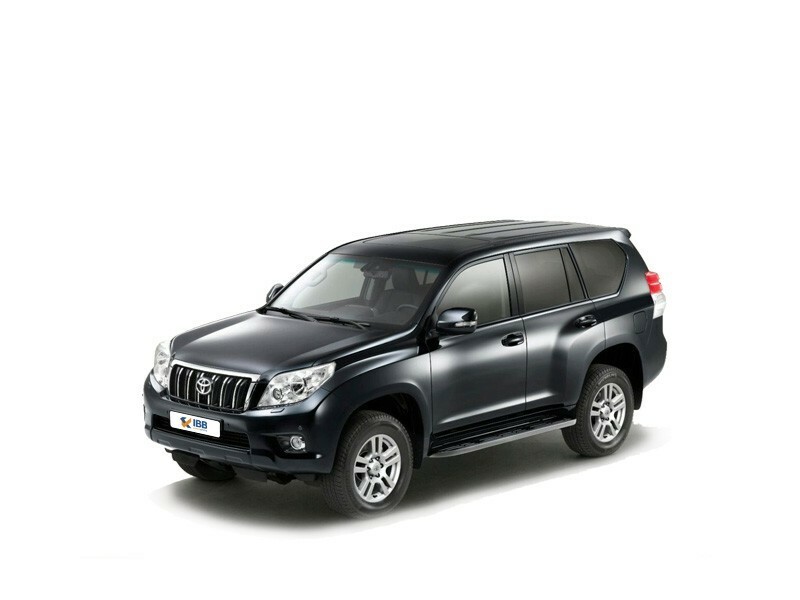 Prado is a smaller and more affordable SUV in the Toyota Land Cruiser range. The radiator grille has large chrome plated slats. It's surrounded by large headlight clusters that have a swept back design. The side profile has coloured handles and expressive lines. The large boot lid has a chrome handle and various badges. The cabin is spacious and can easily fit in 7 passengers. High-grade leather has been used on the seats. The driver's seat has memory function and can be adjusted in 8 different ways. The third row can be electronically folded. 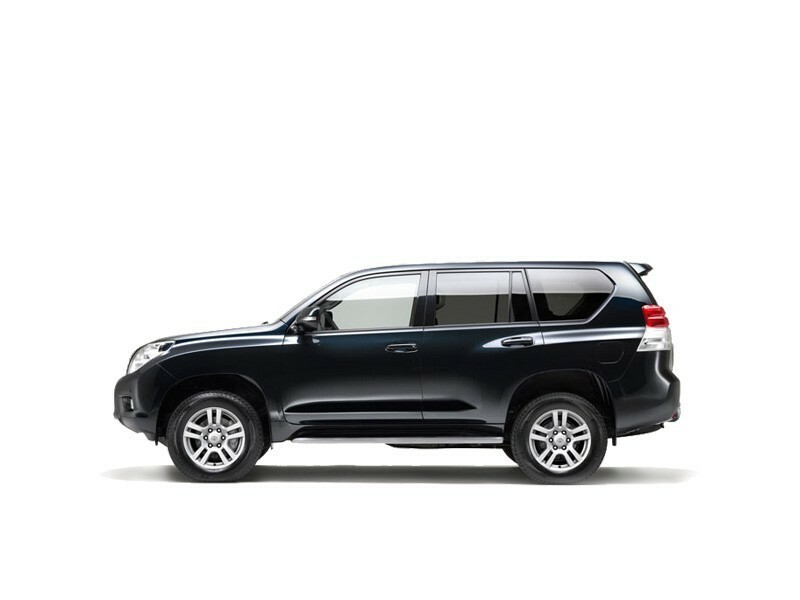 Toyota Land Cruiser Prado houses a 3.0-litre D-4D diesel engine that gives a displacement capacity of 2982 cc along with 170 bhp and 410 Nm of peak torque. The engine is coupled with a 5 speed automatic transmission gearbox. It can reach a maximum speed of 155 kmph. There are a variety of driving modes to choose like Rock, Rock and Dirt or Loose Rock. Crawl control is a unique feature that controls unnecessary acceleration and braking when riding on rough surfaces. The Kinetic dynamic suspension system and adaptive variable suspension offer a stable driving experience. The Land Cruiser and Porsche Cayenne are Prado's closest competitors. The major difference between the Land Cruiser and Prado is the cost and size with the Prado being more affordable and optimally compact. Prado is on par with the Porsche Cayenne except the design and engines used are quite different. The Toyota Land Cruiser Prado, intended for the Indian market is a very strong and powerful vehicle. It offers great driver visibility, good, light steering and ground clearance and is armed with great specs. This high-performing, practical vehicle is built to last and its presence is statement-making. 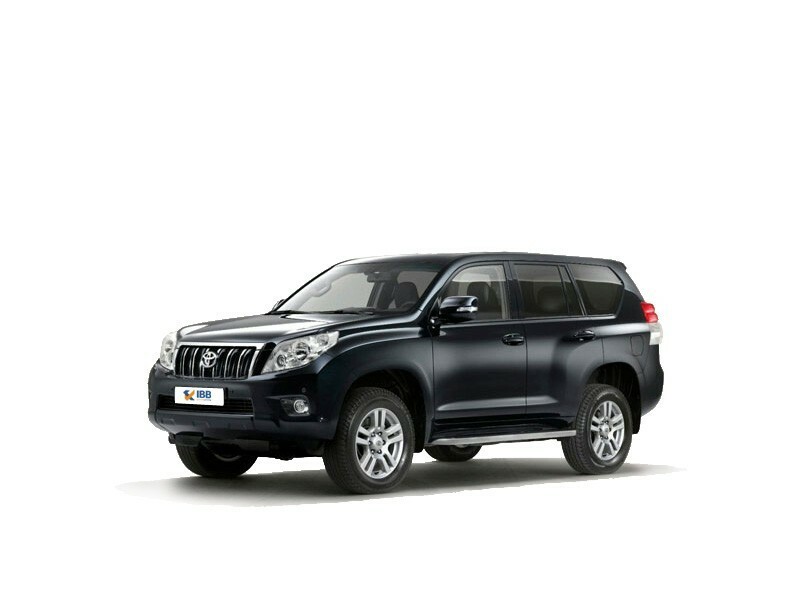 The Toyota Land Cruiser Prado made for the Indian market, lacks many aspects when compared to its original. It is very expensive and maintenance too is high and interior material quality doesn’t speak luxury, just sports practical. No video cameras to observe wheels while off-roading, and it’s not too quick and low mileage. The Toyota Land Cruiser intended for the Indian market, is different from its international version. The Indian version is referred to as the Prado and is considered a baby Land Cruiser. But still, it holds a great visual sway, it’s powerful and has great engine refinement that aids both on road and off-road performance. As compared to competitors in the segment, it is high-priced but in many ways it is a complete value for money car and has a big fan base. It sports an opulent look and has a dominating road presence. A spacious vehicle, interior is classy and is one of the best SUVs in India today.